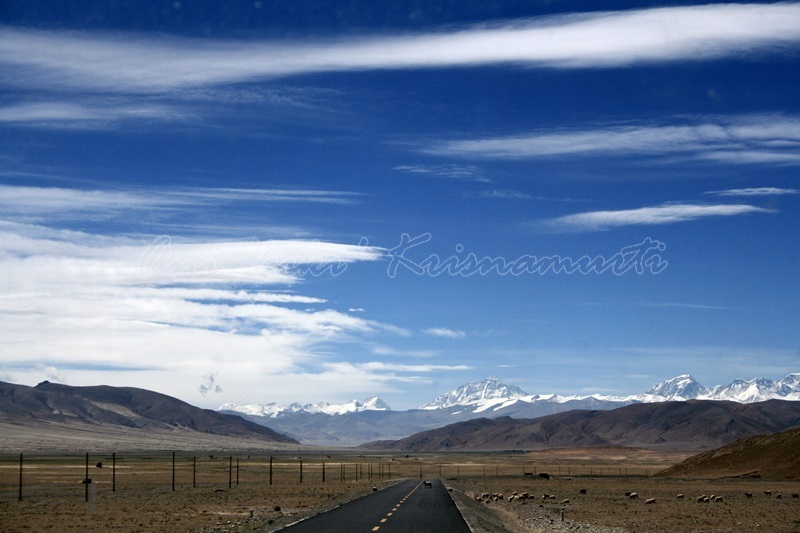 The China-Nepal Highway (also known as the Friendship Highway) is a scenic route on the Tibetan Plateau with a length of 1.000km. 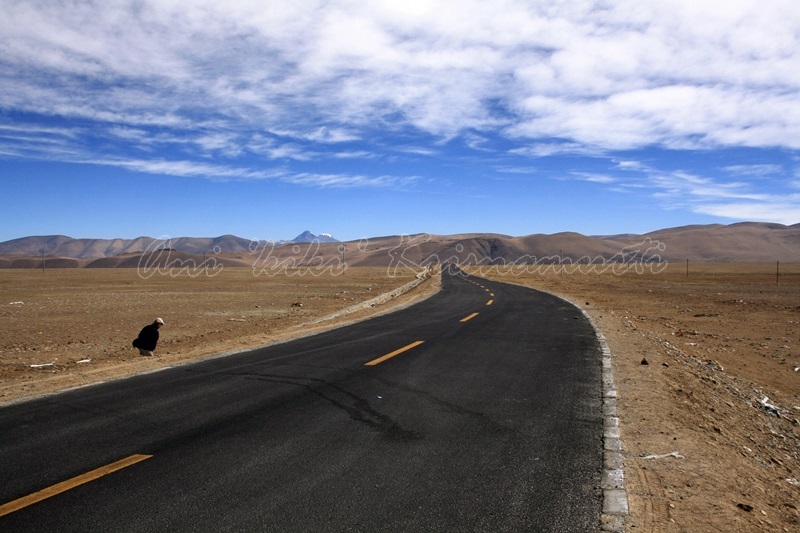 This gravel road includes seven 3,500 meters passes, with several passes as high as 5,000 meters. 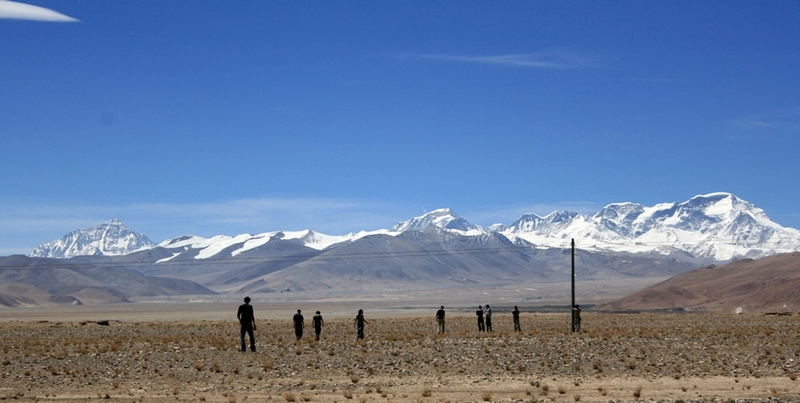 The road was opened in 1967, but Nepal closed the border to trade due to severe restrictions imposed by Beijing. At that time the road’s sole purpose was militaristic. 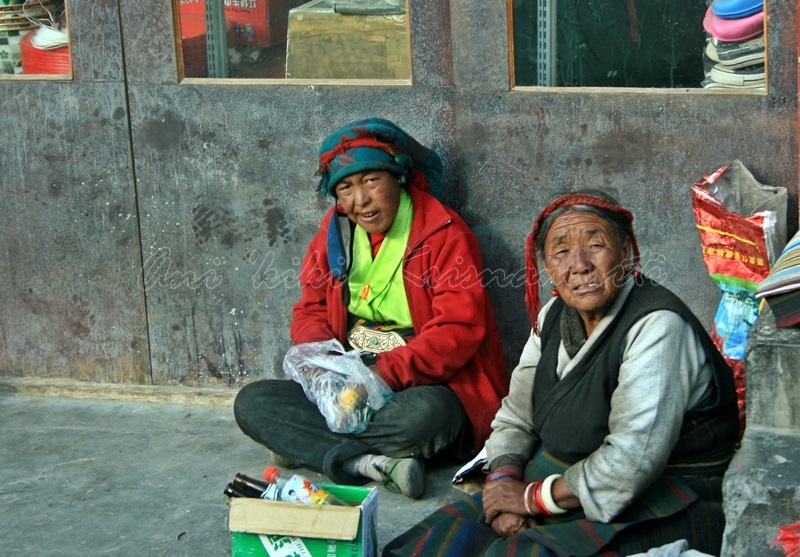 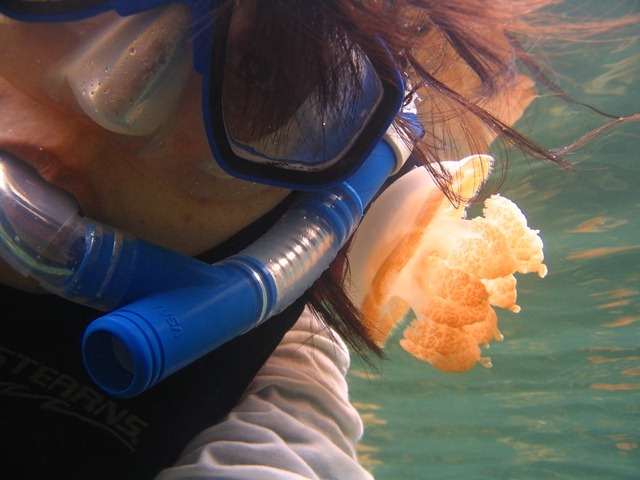 Today it’s the most popular route travelers take in Tibet, with many interesting things to see. 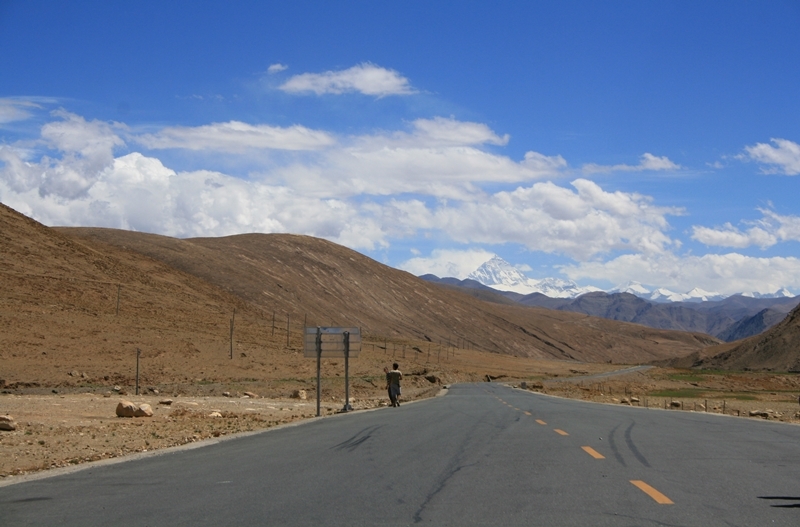 From Shigatse, continuing west parallel to the Yarlung Tsangpo valley, the road passes Lhatse and forks just beyond at Chapu, where China National Highway 219 continues west and upriver, finally crossing the Brahmaputra/Indus divide near sacred Mount Kailash and Lake Manasarovar, then on to Ali in Gar County. 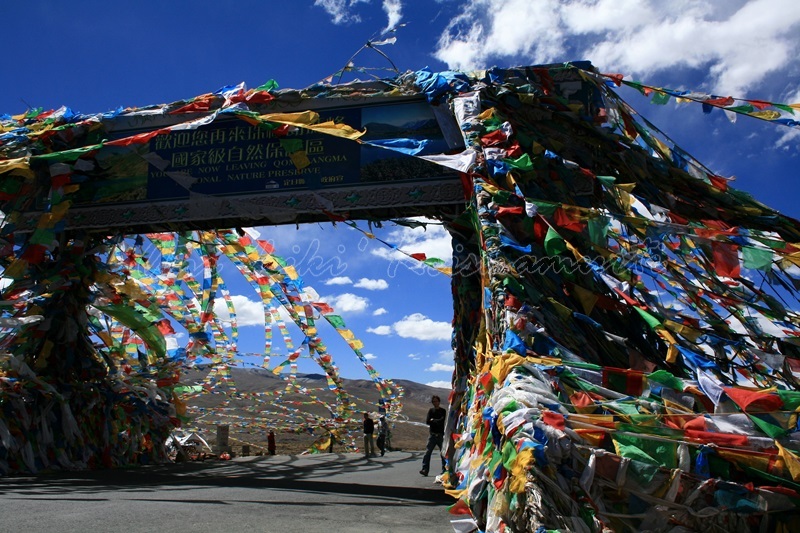 Gyatso La La Tsuo or Jia, also Lhakpa La, is about 5220 m high mountain pass in Tibet . . On Gyatso La the “Qomolangma National Nature Reserve” the beginning of the UNESCO designated Qomoalangma Biosphere Reserve corresponds. 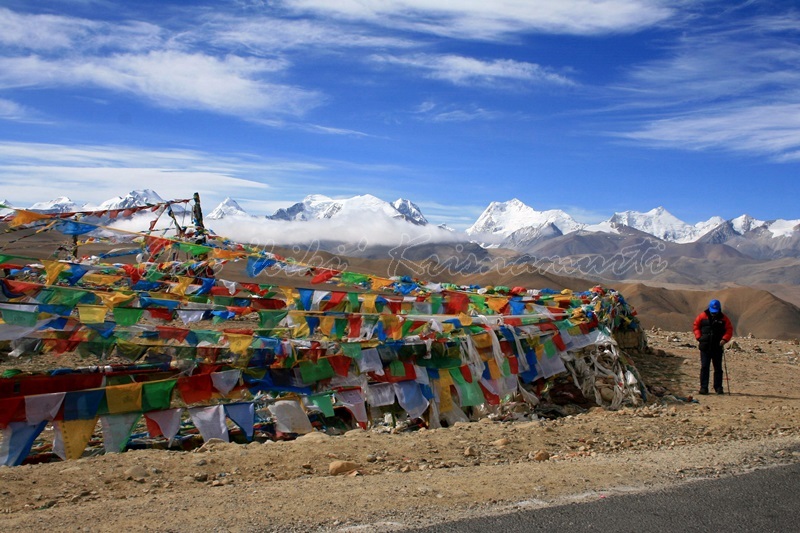 Qomolangma is a notation for the Tibetan (Chinese) name of Mount Everest . 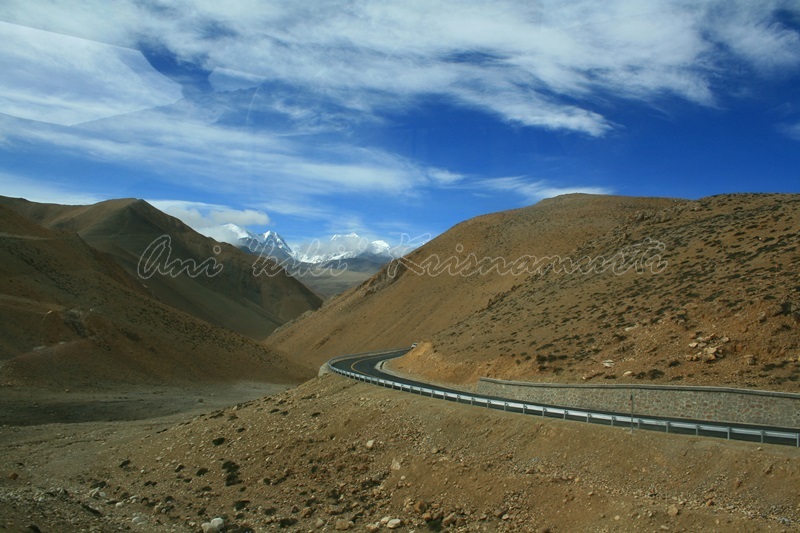 Due its unique location and the climb in elevation over thousands of feet, and passing through remote areas, it is important when driving in these conditions to be prepared. 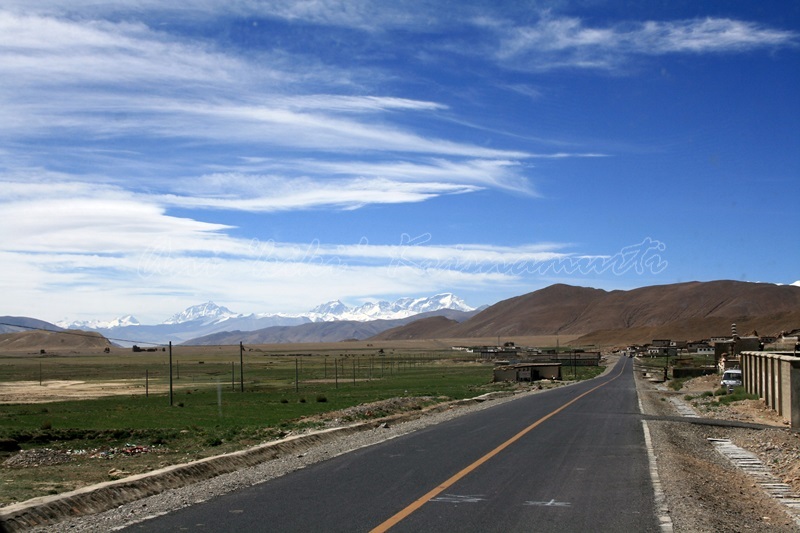 A couple of kilometres from the pass there are great views of Everest, a pointy snow capped mountain in the distance, distinctly higher than those mountains around it. 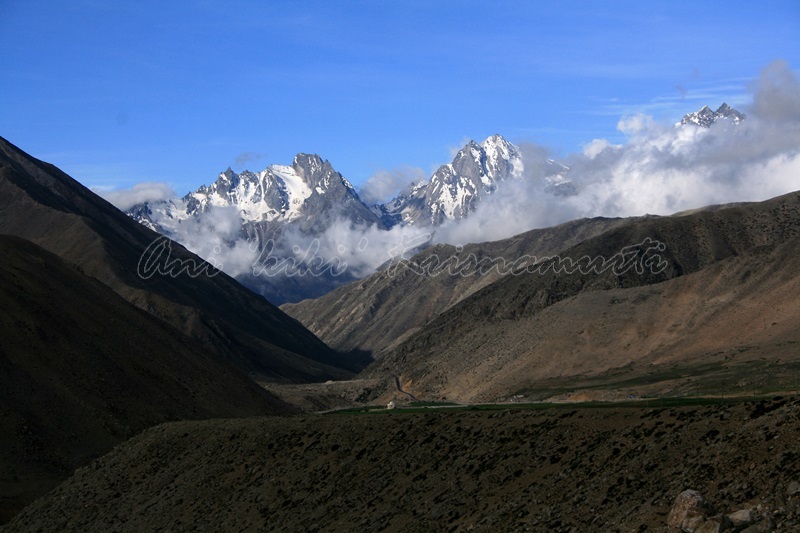 Descending 1,000 meters onto alluvial plains of the Bum-Chu, also known as the Arun river in Nepal, the highway passes near Shelkar (New Tingri) then through Old Tingri, both gateways to Rongbuk Monastery and the north side of Mount Everest. 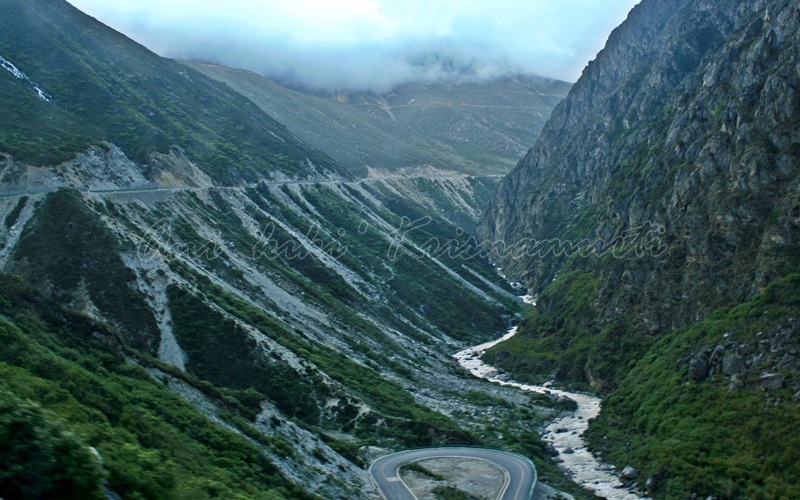 Continuing southwest, the highway climbs over Lalung La (5,050m/16,570′) and crosses shortly after the Tong La (also known as Thong La, Yakri Shung La or Yakrushong La) (5,150m/16,900′), which marks the water divide between the Bum-Chu / Arun and the (Matsang Tsangpo / Sun Kosi) rivers. 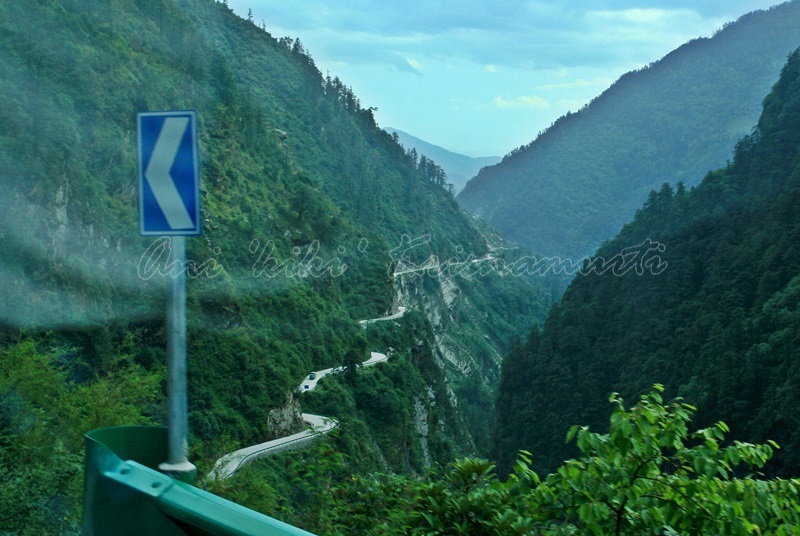 The Friendship Highway then descends along the Matsang Tsangpo through Nyalam, then more steeply through a canyon to Zhangmu. 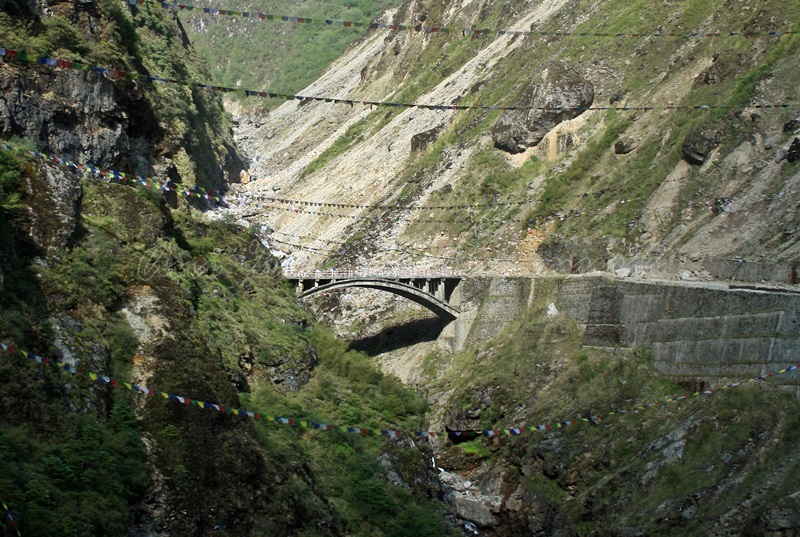 The road ends at the Friendship Bridge on the China-Nepal border at a mere 1,750m/5,740′ elevation. 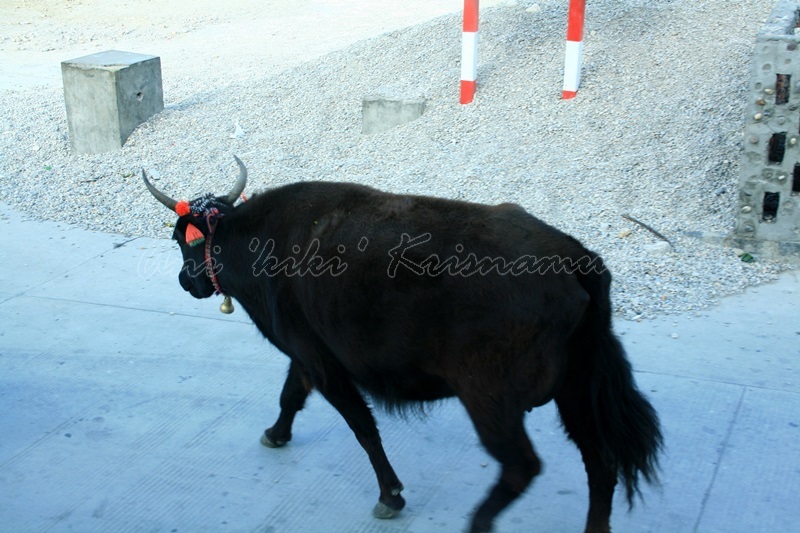 The continuation of the road between the border town of Kodari to Kathmandu is named Arniko Rajmarg. 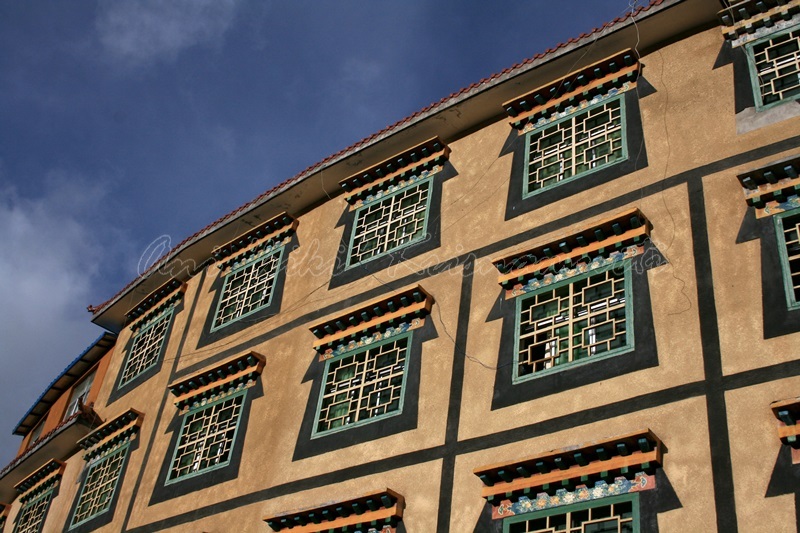 Posted in faveTagged asia, backpacker, china, everest, friendship highway, gyatso la, kathmandu, lhasa, Mount Everest, nepal, nyalam, photography, qomolongma, tibet, travel, travel photography, zhangmuBookmark the permalink.